Everyone expected the Golden St. Warriors to win the NBA final’s easily after Cleveland Cavaliers’ star point guard Kyrie Irving fractured his kneecap in a game 1 loss than was declared out for the rest of the series. Since then, the Cavs have taken a 2-1 series lead and been helped by the play of Matthew Dellavedova who has replaced Irving at point guard. Dellavedova’s play in this year’s postseason has been remarkable. He has hit key shots, played scrappy defense, and been a pest to opponents who have often lashed out at him in response to his rugged play on the court. Not bad for an undrafted player from Australia who is now the second best starter for the Cavaliers in this year’s final behind the legendary LeBron James. The series has worn players out and is the first NBA Finals in history to have the first two games decided in overtime. Dellavedova scored twenty points in game three while grabbing five rebounds and dishing out four assists. He has been the perfect compliment to King James who assisted on both of Dellavedova’s three-pointers. Dellavedova also hounded league MVP Stephen Curry all night who did not resemble himself until being guarded by someone other than Dellavedova. Cavaliers’ coach David Blatt promptly switched Dellavedova back on to Curry who had now found his zone. Looks like Blatt should just try to have Dellavedova pester Curry all night. While Dellavedova did go undrafted in 2013, he did have contract offers coming through after the draft that night including one from the New York Knicks. A bidding war ensued between the two teams until the Cavaliers were able to offer a two-year $100,000 guaranteed contract although this did not guarantee he would make the team. The gamble has paid off and could go down as one of the best moves in team history if the Cavaliers can capture the title. The Knicks have to be kicking themselves thinking about what could have been. 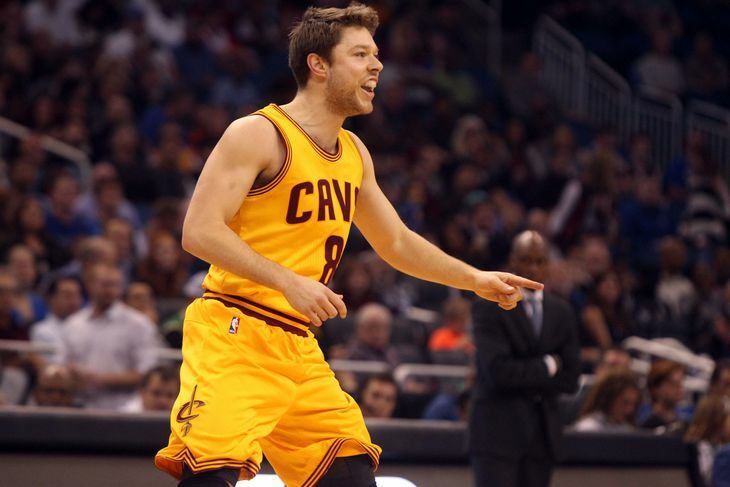 Look for Dellavedova to give his all whenever he is on the court. His play has made me go from believing the Warriors will win this series in seven to the Cavaliers winning it in six.